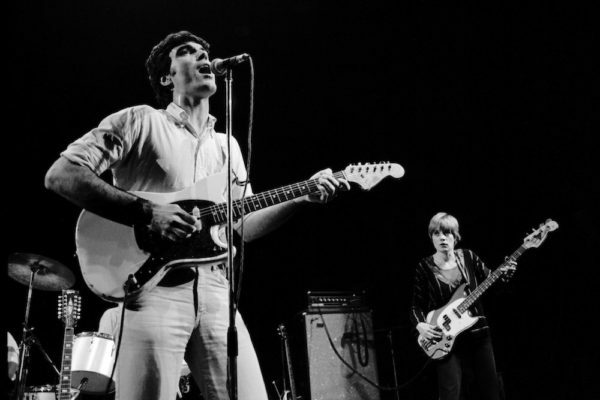 Talking Heads emerged from the New York club scene of the late 70’s with music that sprang from a wide slew of influences and yet wasn’t in the least bit derivative. As they advanced into the 80’s, they managed to gain widespread popularity without sacrificing any of their idiosyncratic edge. The endlessly inventive and funky grooves of bassist Tina Weymouth and drummer Chris Frantz, the rhythmic textures supplied by guitarist Jerry Harrison, and the uniquely off-kilter pronouncements of singer David Byrne. Theirs was a delicate yet potent blend sustained over the course of eight brilliant albums before they called it a day. Their hits are indelible, but this was an album band, which means there are plenty of great songs from their catalog still flying under the radar. Talking Heads ’77, the band’s striking debut album, came before they hooked up with longtime collaborator Brian Eno. As a result, the album comes at you pretty straightforward, leaning hard on the band’s effortlessly funky rhythmic blend and Byrne’s twitchy charisma. This is as close to bubblegum pop as the band would ever get, with Harrison flickering about the edges with his surf riffs and Weymouth pogo-ing about. Byrne seems to be telling an uplifting tale about an up and comer, but the way his vocals careen out of control leads us to believe this character is only in his own mind. Even though Eno was aboard for More Songs About Building And Food in 1978, the emphasis was still on the band’s chemistry, without a lot of the experimentation that would come. This closing track flirts with Country in the verses but then strides smoothly into a stomping beat, as Byrne’s narrative toggles between his airborne views of the countryside and his own reticence to embrace the country life. The song seemed to be his sly commentary on how Talking Heads might have been viewed by suspicious folks from the middle states more used to Country music and arena rock. 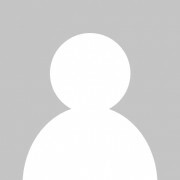 By the time of the band’s third album, 1979’s Fear Of Music, Talking Heads was no longer confined to their peculiar interpretation of rhythm and blues-based music forms. World music was starting to enter the picture, but they slid into these new idioms while keeping their quirky sensibilities intact. The band conjures a swaggering, almost sinister groove on this track, while Byrne makes echoey, stream-of-consciousness observations. The title promises a standard, but Talking Heads delivers something quite the opposite of that and yet just as striking. Although you could argue that the band had managed to create masterpieces at just about every time to that point, Talking Heads no doubt hit a stunning peak with 1980’s Remain In Light. The band willingly entered the studio without any songs already in mind and created the tracks by jamming songs into shape and then adding and removing parts in the mixing process. The results were uniformly mesmerizing, from their signature song “Once In A Lifetime” to this exotic, yet chilling tale about a threatened foreigner and the actions he takes to staunch the tide of American colonialism. Here's just one cool moment we "deconstruct." See them all! The band allegedly concocted the closing track of Remain In Light as an homage to the band Joy Division, even though no one in the group had ever heard one song by the British post-punk legends. What came out is an atmospheric dirge that perfectly encapsulates the air of dread that had been playing about the other songs on the album. It’s definitely a departure for a band known for their rhythmic kick, but it works both in the context of the album and on its own brooding terms. 1983’s Speaking In Tongues featured one of the band’s first chart hits that wasn’t a cover (“Burning Down The House”) and was their first release since their debut that wasn’t produced by Eno. Without his presence, the band returned to their loose-limbed funk like they never left it behind. The lyrics to this song don’t mean much as a whole, but several of Byrne’s lines hit home on their own. What really matters is the way that Frantz and Weymouth lock into the blues. Little Creatures was the album where Talking Heads became MTV stars, and it was timed perfectly, as the songs are a little bit more accessible on the surface, while still featuring enough oddness to not stand too far out from the rest of the band’s catalog. Harrison’s guitar and Frantz’s rim shots take this song into Country territory, and even if Byrne would never write anything as simple as the usual “tear-in-your-beer” clichés, there’s an inherent warmth to this song which makes it stand out. True Stories is essentially a David Byrne project into which the Talking Heads were awkwardly shoehorned. As a result, there isn’t the usual level of rhythmic complexity to these songs that you might expect from the band, but there are several that are quite catchy and sound like they could-have-been hits. This song is known for inspiring some British students to use the name for a certain band they were forming. Not many people think of Talking Heads as a ballad band, but when they entered into that territory, they usually handled it like they handled everything else: with an interesting point of view and without any artifice. Byrne manages to get sentimental here without being simplistic, and the chorus finds him crooning without any of the affectations we’re used to hearing from him. (He even busts out some convincing falsetto.) It’s all very pretty and affecting. 1988’s Naked was the Talking Heads’ swan song, although they didn’t announce it as such. It just became that when the band made their separation official a few years later. The album suffers a bit from an overload of guest stars, diluting the power of the band’s interplay. Nonetheless, they went out with their powers still intact, as evidenced by this tense little story about a family forced out of their homes to make a new life under uncertain circumstances. “Swamp” was notable for providing the final title for a certain breakout film starring Tom Cruise. The producers had about four different, humdrum titles but something in the lyrics of this song in a certain scene just punctuated things perfectly. Memories Can’t Wait – you nailed it!